For me personally, my biggest hair issue is probably frizz. I’m lucky enough to have long, thick hair which doesn’t lack volume but sometimes it can be a little difficult to tame. Over the past few years i've stopped using hair straighteners on a regular basis (I don't even own a pair!) and I can definitely see a difference. For my everyday hair routine I wash my hair with shampoo, skip the conditioner most days and finish off with blow drying my hair while using a styling product depending on what sort of look I'm going for. 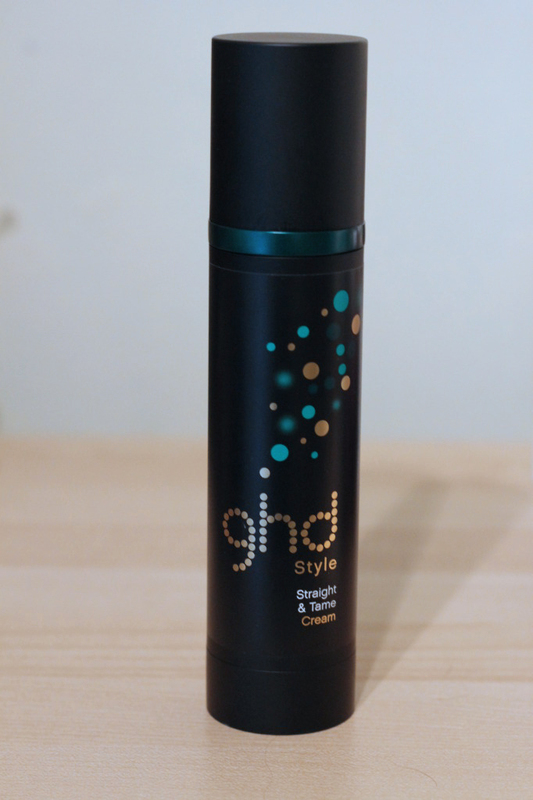 I was happy to come across the GHD Straight & Tame Cream as I don’t really have products with added heat protector qualities let alone ones that tame my curly hair. It’s recommended that you use 3-5 pumps of product on your towel dried hair. As a test I began using 3 pumps and if you’re like me with thick hair you could probably get away with a bit more. Now if you’re looking for a product which straightens your hair without the need for straighteners, this isn’t that miracle product. To a certain extent it does help to achieve a more straightened than curly hair finish without straighteners but I feel that the product is more to go with the use of straighteners. Usually after I’ve straightened my hair, throughout the day it will start to go back to it’s natural wave but when I used this product and then straightened my hair afterwords I found that my hair lasted much longer and it felt lovely and soft. If you are looking for a product to prolong your straightened hair, I'd definitely give it a try!